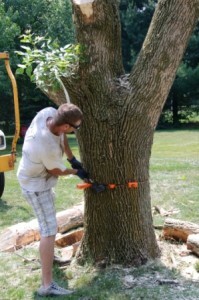 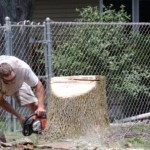 It doesn’t matter how large the tree, we will make sure it comes down safely and the stump and all debris will be removed so that it looks like the tree was never there. It doesn’t mater how tall the tree, we have the equipment to bring it down safely. 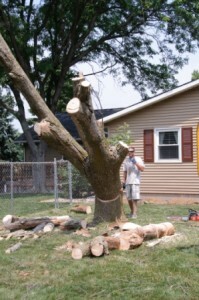 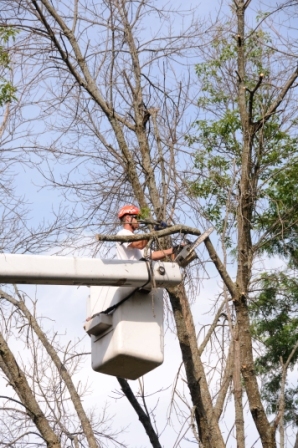 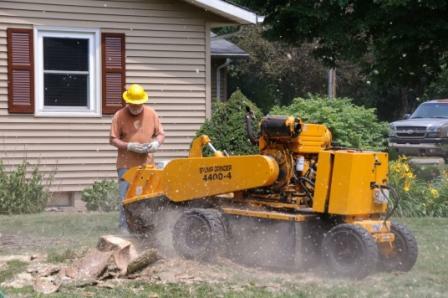 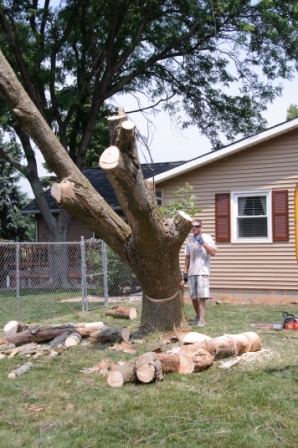 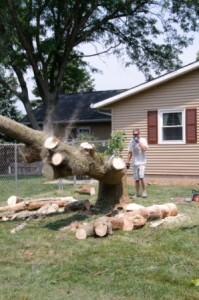 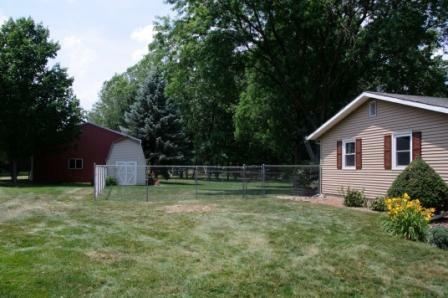 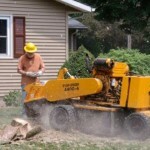 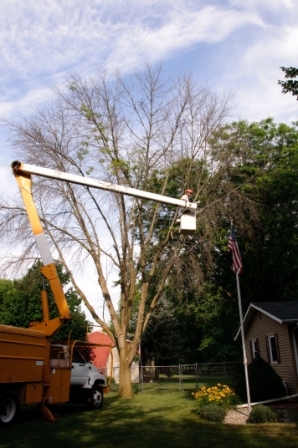 Precision cutting allows us to safely remove trees near homes and power lines. 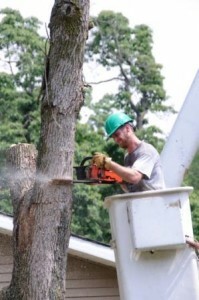 The main trunk is cut and brought down safely away from the home and power lines. 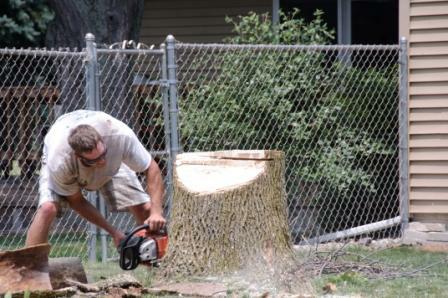 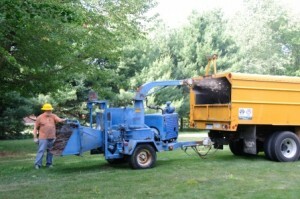 The stump is cut and then ground to below ground level. After the final cleanup it’s almost as if there was never a tree there.